Positions to be voted on at the AGM Saturday Nov. 3, 2018 8:45-9:30am at the Conference. First Executive Meeting will follow later that day from 1-2 pm (Sat. Nov. 3, 2018) also at the Conference. You are still eligible to apply, though, even if you can't attend conference. Please contact Joan (our current President) at president@eslcata.com immediately to put forward your name and application (download here in word or pdf format). Working with ATA personnel, the PEC representative and the staff advisor assigned to the ESL Council. They are oversee all the councils committees and receive minutes and reports to stay in the loop and network people to what is going on and needed supports. When time is short, they appoint committees, representatives or act on behalf of the council and delegate duties as required. They must also submit an annual report about the council's activities to the ATA each year, as well as to the AGM. They write a President's Message for the ACCENT publication several times annually (as well as often other pieces). This is only a snap shot of what our fearless leader does for the council... they are really the glue that holds us together and leads us forward as a group. Advise the president as needed and even step in and act in the absence of the president. Ensure that we stick to our constitution and handbook guidelines and record possible policy changes for future handbook revision. Connect with Committee Chairs and report back on what is going on in each area. Promote Membership and ensure that pamphlets for members are up to date. Take on what the President delegates to help support their role. Help oversee the activities of the annual conference. This role is the right hand supporter of the President who helps them carry out their enormous role and trains and prepares to take over the role of President in future. Make sure the executive sticks to it's constitutional mandates. In absence of the President or President Elect, assume the duties of and act on behalf of the President. This valuable role ensures a smooth transition from year to year and that initiatives and connections carry forward. They have carried the council as President and now continue to support the council by assisting the new President. Taking charge of all money received and/or collected by the council. Keeping an accurate record of the financial affairs of the council. Making the necessary disbursements of funds as authorized by motion of the Executive Committee. Providing a statement of revenue/expenditure to each meeting of the Executive Committee. Assuming responsibility for having books audited by Barnett House personnel at the end of the fiscal year. Preparing, in consultation with other table officers, a proposed yearly budget for the council. Presenting the proposed budget to the Annual General Meeting. Presenting the audited financial statement to the Annual General Meeting. Providing consultative services to the conference director. An essential part of the council, the Treasurer keeps the books and ensures the council stays within their means. They are a popular member of the council as they ensure that people are reimbursed for expenditures and we all know we're lost without them! The Profession Development Directors (North, Central, South) are Elected and Voting Members of the Executive Council. These roles work as a team and share their main jobs. Providing information to members on the council’s professional development opportunities or activities through Accent, website and other means (digital and nondigital). Presenting or facilitating presentations at Beginning Teachers’ Conference and ESLC Conferences. Contributing to Accent, by writing at least two articles or soliciting two submissions per year. Planning professional development experiences for members. Planning, promoting and hosting local and regional professional development experiences for members (in collaboration with Members At Large). This includes the annual conference. Submitting a joint written report detailing ESLC professional development activities that were made available to members to the Annual General Meeting. Connecting with Faculties of Education to promote membership and professional development events sponsored by the council that are suitable for pre-service teachers. Provide information to the Executive regarding ESL programs, courses, and training offered through faculties of education. These hard working, team players on the council ensure that teachers get the resources and professional development opportunities they need. They work to create a community of best practice in ESL in the province of Alberta. They are driven by the desire to help teachers help students. The Conference Co-Directors are Elected and Voting Members of the Executive Council. These roles work as a team and share their main jobs. Planning and carrying out conferences in consultation with the Executive Committee. Presenting a conference budget at the commencement of conference planning and provide financial updates at Executive Committee meetings. Planning and seeking approval for all major conference decisions, theme, keynote, selection and other decisions. Presenting closing financial statements to the Executive Committee following the conference. Assisting the Treasurer in reporting the conference financial records within the council’s financial report to the ATA. Working directly with the President-Elect. Communicating conference plans, and where possible, coordinating conference plans to align with the program of professional support offered to members by the council. Mentoring the incoming conference director who will serve as an integral part of the conference committee. These are the heroes that work hard all year to ensure that we have a wonderful escape and professional development opportunity all rolled into one. They work tirelessly to bring together teachers from across the province together to discuss and grow professionally in the field of English as a Second Language. They get together great speakers and facilities that ensure a weekend to remember. Without them, a vital part of our council is unfulfilled! These roles work as a team and share their main jobs. Attending the Specialist Council Seminar for Conference Directors during the summer. Assisting the conference director in aspects of planning, operationalizing the conference. Coordinating and acting as editor for any publications (electronic or print) that pertain to the goals and objectives of the council. This includes ensuring all publications fit with the guidelines set down by the ATA for all specialist council publications. Submit a written report of publication activities to the Annual General Meeting. 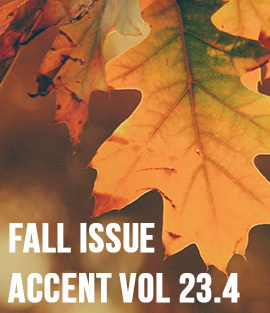 Publish two issues per year (spring and fall) or our ACCENT newsletter. Updating social media and working with the Webmaster to coordinate sharing of information on the website or other electronic means. Acting as the main person to send out information to all members. This role is responsible for all the updates and news you see and hear from the council. It is a big job to keep everyone up to date, in the loop and engaged and it is thanks the Publications Director that you know what is going on. Working with PD Director and Publications Director to ensure information is current on online. Working with Association Information Technology Services on the website. Updating, maintaining and troubleshooting the website. Posting information as requested by other council members. Ensuring all executive members have access to the digital content required for their roles. This role is a key connection point with our membership. It enables the council to ensure that members have access to the information and supports they require. It helps the council use technology in a meaningful way to engage members. Edmonton & Area - AVAILABLE! Members at Large are Appointed Non-voting Members of the Executive Council. These roles work as a team and share their main jobs. Assisting the Professional Development Director in providing professional development opportunities within their regions. Promoting membership within their regions. Serving as members on committees. Assisting with conferences, resource fairs and conventions in their regions. Providing written reports on events and policies in their respective locations to each executive meeting. Assisting the PD Directors in liaising with Faculties of Education. These support roles ensure that we have voices from across the province advocating for their regional needs on the council. They also provide the hands and feet to carry out the many tasks the council has to ensure that members get the PD events and resources that they need in their region. They work in conjunction with the PD Director in their area. These three important roles are not Elected or Appointed Members of the Executive Council and therefore are not available roles for members to take on. However their valuable insights and wealth of experience and perspective from a provincial and ATA level help to guide the Council as it seeks to support its membership.